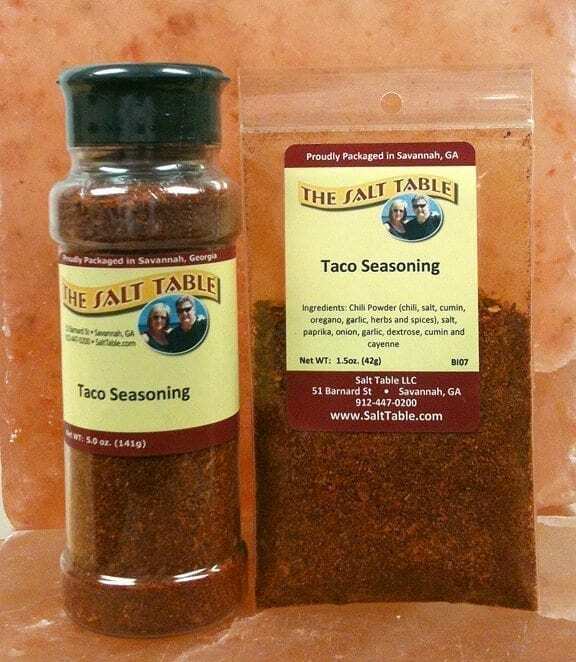 This Mexican seasoning is one of our most popular blends. It adds just the right mix of flavor and kick! A true “all purpose” seasoning blend for your favorite mexican meal! Use in your ground beef to add that great flavor to burritos and tacos. The paprika adds a nice kick! It also works great as a rub for ribs or beef brisket. 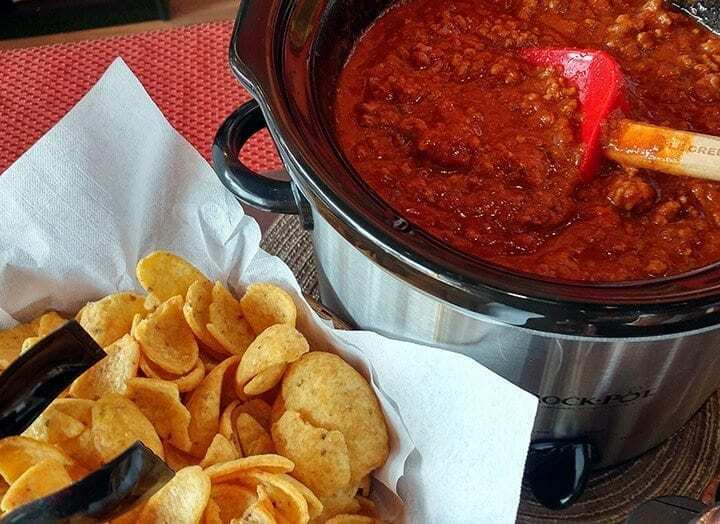 For the adventurous, add to sour cream for a spicy dip for tortilla chips. 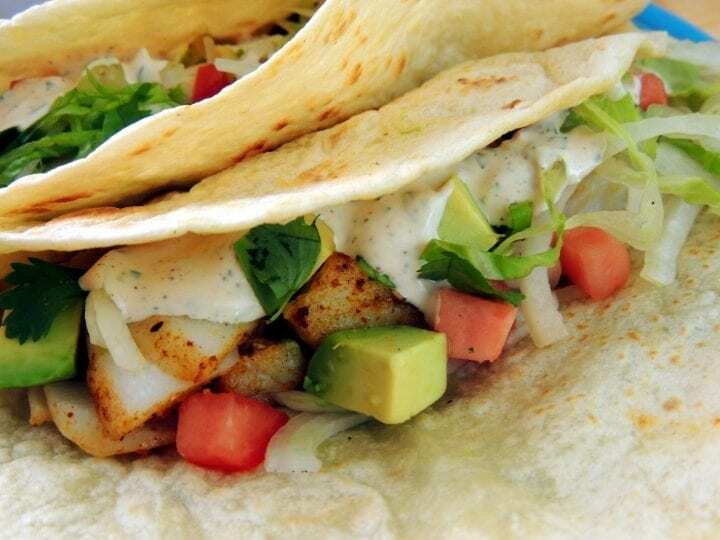 Fish Tacos have long been a specialty of the Mexican resorts on the Baja Peninsula, and in recent years have become a summer favorite in The United States, especially in the balmy, humid South. Savannah Summer Seasoning Salt gives them a nice southern zip. To make the lime cream, blend together the mayonnaise and sour cream or yogurt. With a microplane grater, grate the zest from 1 lime into the sauce then grate half the garlic clove into it. Set aside the other half of the clove for another use. Blend in 1 tablespoon of lime juice and 1 tablespoon of cilantro or oregano. Season it to taste with chipotle powder and pink salt (if needed). Taste and adjust lime juice. Let stand 15 minutes, then taste and adjust seasonings. Cut remaining limes into wedges. Cut the fish into bite-sized cubes. Sprinkle it generously with about a tablespoon (or to taste) of Summer Salt and gently toss to coat. Warm the oil in a large non-stick or seasoned iron skillet or sauté pan over medium heat. Add the fish and raise heat to medium-high. Sauté, gently tossing occasionally, until the fish is just cooked through, about 3-4 minutes. Remove it from the heat. Meanwhile, warm a griddle or a large non-stick pan over medium-low heat. When the fish is ready, lay a tortilla on the griddle and let it get hot, turning it once (about half a minute) and remove it to serving plate. Spoon 1/8 of the fish down center and top it with tomato, lettuce, onion, and avocado. Lightly sprinkle with Summer Salt, drizzle with a spoonful of lime cream, and sprinkle on a little of the remaining chopped cilantro. 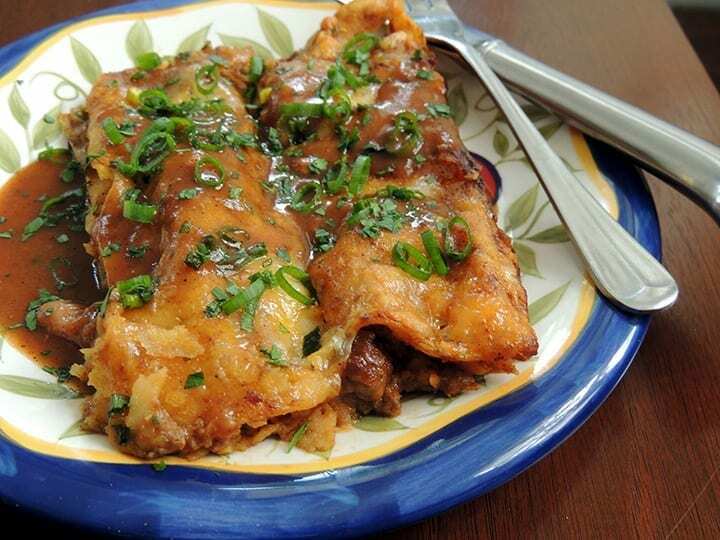 There are two options for presenting them: you may simply leave them open-faced and let your guests roll them up themselves, or roll them first as follows: 1/4 of tortilla at the bottom over edge of filling, then fold the left side all way over. 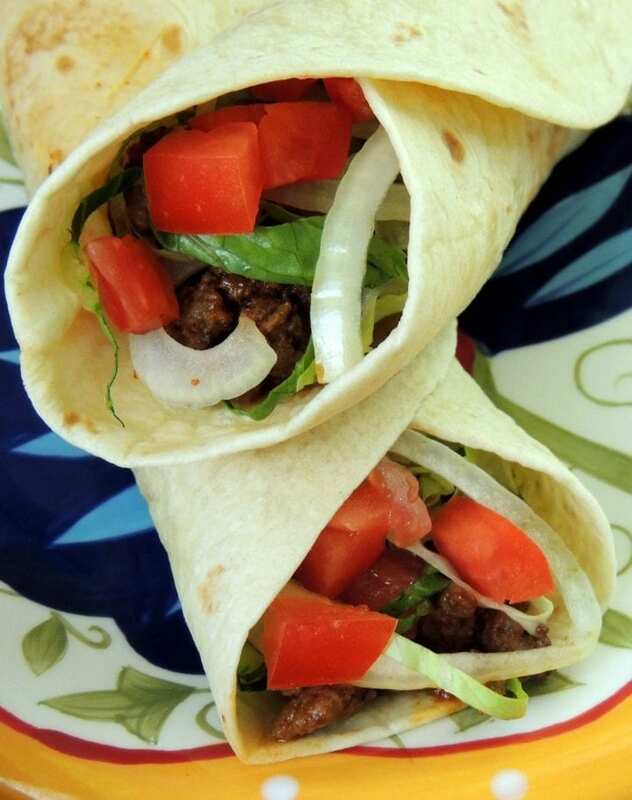 Roll the taco over on itself to fully wrap the tortilla around its filling in a neat package. Serve immediately with lime wedges on the side. Taste-Tested and enthusiastically approved by my grandchildren. 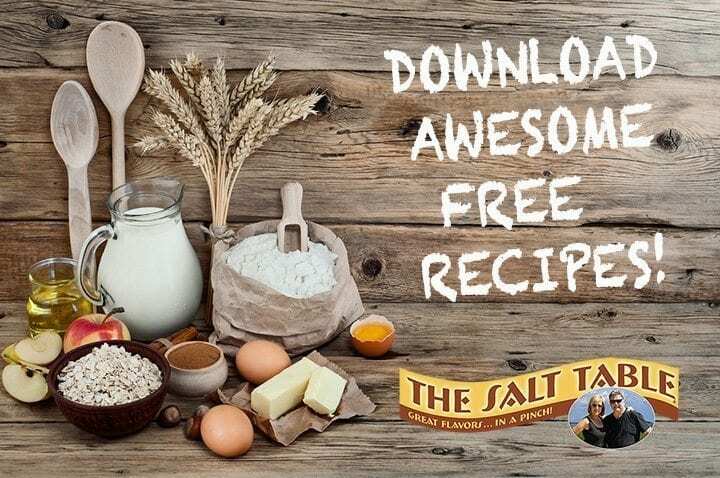 Our granddaughter likes them finished with a drizzle of ranch dressing, but you could add sour cream, and/or any salsa that you like, but keep the dressings spare or the excess will just ooze out and drip all over you. Warm the oil in a 10-inch skillet or sauté pan over medium heat. Crumble in the beef, raise the heat to medium-high, and sauté, tossing or stirring occasionally, until it has lost its raw, red color and is beginning to brown. Season well with Summer Salt and chili powder to taste and lower the heat to medium low. If you’d like a sauce to bind the meat, add the optional catsup or chili sauce. Let it simmer about 2-3 minutes longer, or until the beef is just cooked through (and if you’ve added catsup, it’s reduced and thickened). Remove it from the heat. Warm a griddle or large non-stick pan over medium-low heat. Lay a tortilla in the pan. Let it get hot, turning it once, and remove it from the pan to a serving plate. Spoon 1/8 of the beef down its center and top with a sprinkling of cheese, then the tomato, lettuce, onion, and jalapeno peppers. Lightly sprinkle with Summer Salt and, if you like, drizzle a little dressing or sour cream over it, or add a spoonful or two of salsa (or offer these for each diner to add to taste). Fold a quarter of the tortilla at the top and bottom over the edge of the filling and then fold the left side all the way over them. Roll the taco over the filling into a neat package. Repeat with the remaining tortillas and fillings and serve immediately.